I almost never do markdowns directly on the main website— promotional prices usually are listed on ebay or as clearance, and even those are rare– but this weekend is special. Not only is it Friday the 13th, but there is also a full moon! It’s so rare that it will not happen again until 2049! I don’t know if it’s good luck or bad luck, but one can’t be too careful! So, to mark the occasion, the newest style of framed 4 leaf clovers is marked down by about 20%. Get them individually, or in groups of 3 to save more. And, good luck this weekend!! finally! the new frame styles for the 4 leaf clovers! I finally managed to get the photos and shopping cart buttons added for the latest framed 4 leaf clover style– they’re gorgeous, of course! And, I managed to keep the price reasonable! Now, my focus will be on finishing the overhaul I started on the art studio *2 years* ago, and on creating more art, more photos, and yes, more 4 leaf clover goodies, too! I still have the 4 leaf clover key chains to post, and I have also been looking through some of my earlier artwork, considering listing some of it for sale. I am not sure about that though– I’m a bit sentimental about a lot of that. 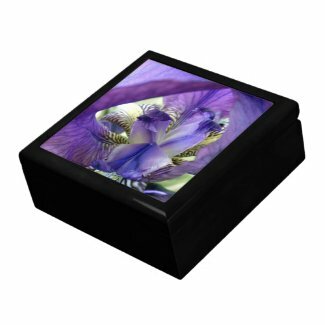 But, while I am deciding, have a look at the newest framed clovers, and the latest additions to the zazzle store. The newest frames are already almost gone! I am down to the last few, and the frames I just ordered will not arrive for another week or two. So, if you want these, better hurry! new framed 4 leaf clovers now available! After defeating a compatibility issue between my program and the webhost, the latest framed clovers are now posted for sale! Yippee! And still in plenty of time for St. Patrick’s Day! You can find them for sale, to purchase for yourself or as gifts, at http://soulbearing.com There are still a few more changes and updates coming to the website, but since so many people are eager to have these, I wanted to get them posted! They are unusual and affordable (at just $12 each! ), and there are only 20 or so left of these framed clovers— and that may be the last of them in this style (yes, last ever!) since I haven’t found more frames exactly like these. Last time these were running low, I was “lucky” and found another crate of identical frames hidden in my art supplies. That is unlikely to happen this time. I’ve shopped around, and it looks like I will have to choose another style! I do find it ironic that after finding so many 4 leaf clovers for so long, I now cannot find the original frame style to go with them. This means, if you like the framed 4 leaf clovers in these frames and at this price, this could be the last chance to get them this year– maybe the last chance to get them, ever! There have been several recent requests for these, so from now through November 24th, customers can pre-order necklaces and keychains containing real 4 leaf clovers. This is a metal pendant measuring approximately 30mm x 50mm, with protective high-gloss “self-healing” epoxy cover. 24-inch necklace is shown, but this can be ordered on keychains too. Four leaf clover pendants available on necklaces or keychains. Regular price is $15 each, but if you order by Saturday, you can order them for just $12 each. Since this is a pre-order, it will take approximately 2 weeks to be available to ship, but will still arrive at USA destinations before Christmas. International orders should still arrive by Christmas, but since international shipments can face a variety of additional delays in transit, delivery by Christmas cannot be promised. We’ll do our very best though. These sell out rapidly and typically only a small supply is kept on hand, so pre-ordering is the best way to be sure your necklaces or keychains will be available– plus you get a discount! !